Antique Orental / Persian silk carpet, on an ivory ground with a floral design. A beautiful rug or wall hanging silk on a silk foundation. This carpet has a beautiful effect with the design in raised silk pile on a silk ground. It has very smooth and soft touch. 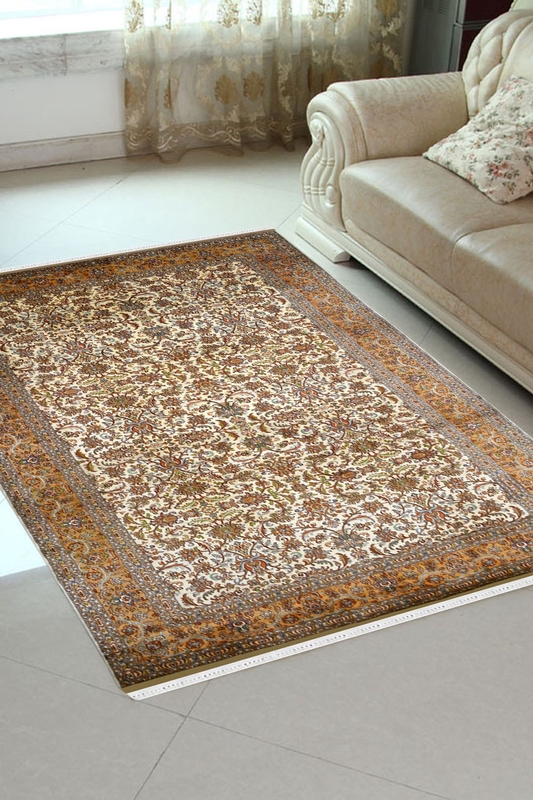 With the perfect shades of ivory and golden color with different suitable and matching colors, this pure silk rug from India is hand knotted beautifully to give your living area a lavish and magnificent look. With the luxury of traditional art this rug from India is surely a unique attraction for your guests.